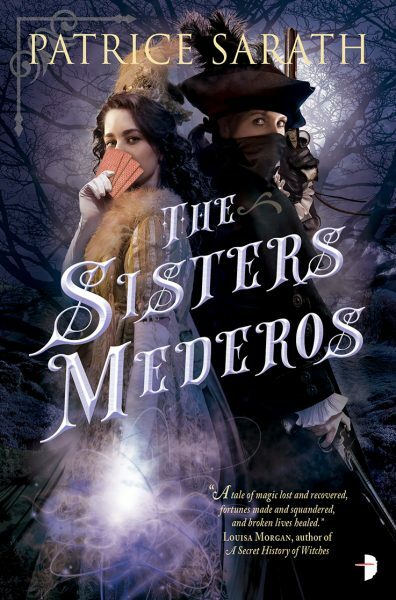 MY BOOK, THE MOVIE: Patrice Sarath's "The Sisters Mederos"
It’s natural for me to think of the movie that could be adapted from The Sisters Mederos, because in an earlier version of the story, I did write a screenplay with these characters, exploring their relationship and their adventures. I would love for Daisy Ridley to play Yvienne Mederos. Yvienne is very much like Rey in the Star Wars universe. She is self-sufficient, smart, and courageous. She loves her family, and wants to save it. She tries to protect everyone around her, and she uses her wits as a weapon. Hailee Steinfeld is my choice for Tesara. I’ve seen her play tough, and I have seen her play vulnerable, and throughout the book Tesara goes from timid and unsure to grimly confident in herself and her powers. Tesara has to come to terms with her strange abilities so she can make good use of them to save her family from its enemies. Both these talented actors would absolutely rock at bringing The Sisters Mederos to the screen. As for who should direct? No question: Emma Thompson. She’s amazing. She’d do such a fabulous job. Thompson wrote the screenplay adaptation of Sense & Sensibility, one of my favorite adaptations ever, and so if she took on the job of writing and directing (and why not? playing Alinesse Mederos, the formidable matriarch of House Mederos), my heart would be full. Besides Alinesse Mederos, the supporting characters include Brevart Mederos (Ty Burrell from Modern Family), Uncle Samwell (Eric Allen Stonestreet, also from Modern Family, because they would bring an excellent chemistry to the production), Jone Saint Frey (Nicholas Hoult, from Harry Potter and Mad Max, natch), and Mirandine Depressis (Evan Rachel Wood, because she would bring the over-the-top glamour the role requires). So you can see, I’ve thought about this a lot. If you decide to pick up The Sisters Mederos, let me know who you see in these roles. Learn more about the book and author at Patrice Sarath's website and blog.